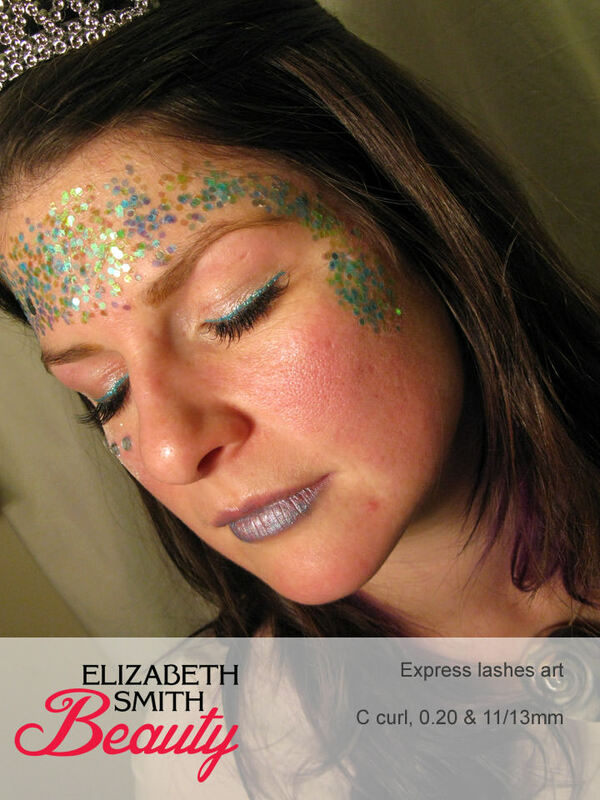 I was asked this week by the lovely Maxine from the cottage pub to do her eyelash art and to transform her into a mermaid. She was off to Love boat run by Bo nanafana on Saturday night. 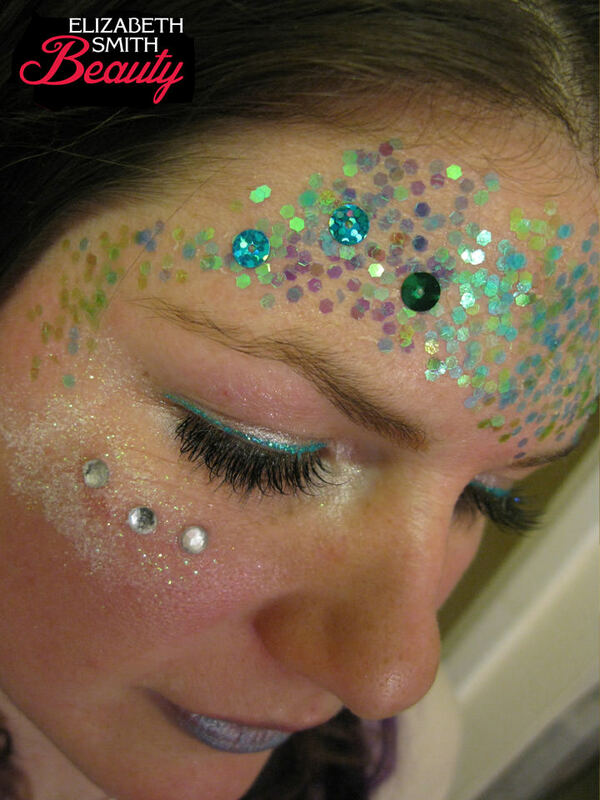 After some research I decided on hexagon green/blue shaped glitter art on her forehead to look like scales, with a few sequins which matched her scallop bra. Along with rhinestones and fine white glitter under just one eye, I’m not a fan of symmetry! I also applied a fab blue glitter eye liner and curled her hair. Sadly we didn’t have any blue lipstick, so we made our own with Vaseline mixed with blue eye shadow. 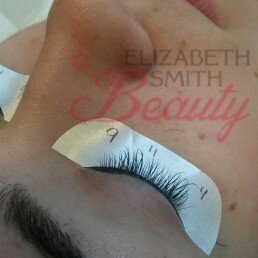 Contact me if you need a similar look for a night out. 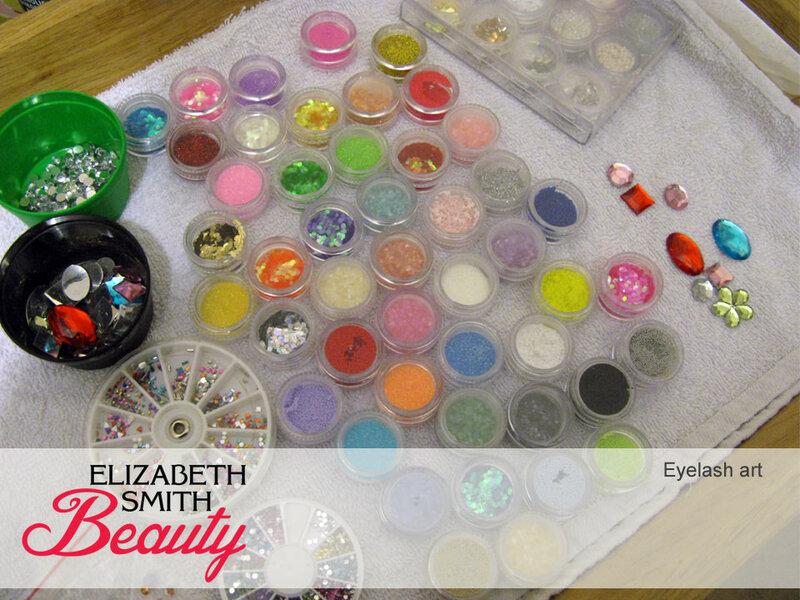 I have a large section of different types of glitter, gems and art to create the desired look. 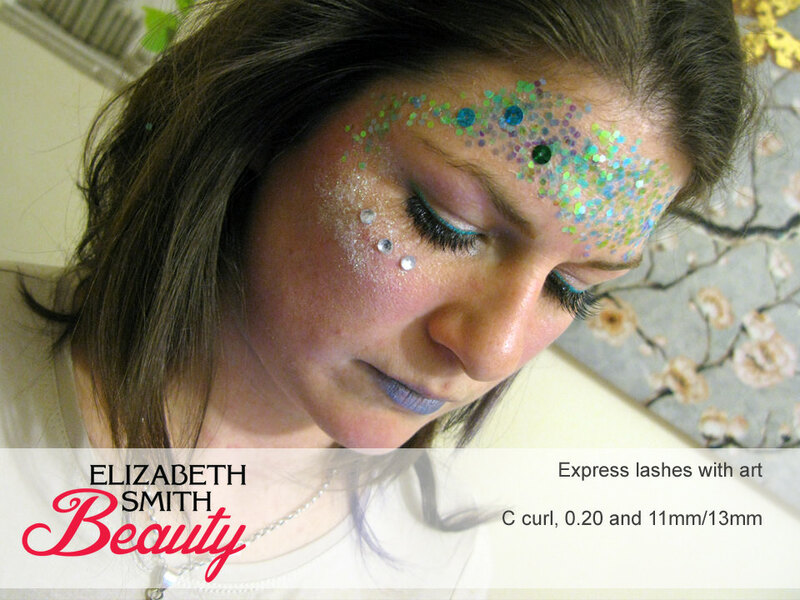 Perfect for a themed hen party?